The 2019 Mountain West Basketball Tournament is quickly approaching: March 10 to 16 in Las Vegas at the Thomas & Mack Center. 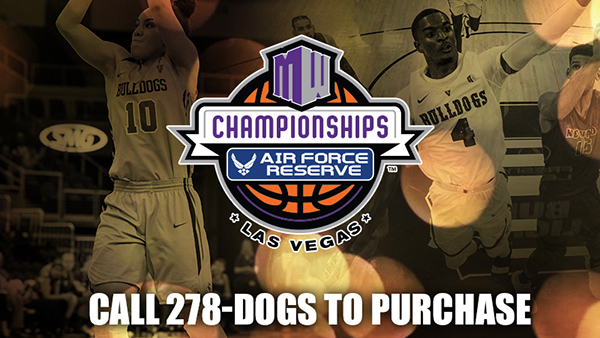 Fresno State fans who are interested in attending can purchase all-tournament tickets through the Bulldog Ticket Office, online or by calling 559.278.3647. These tickets include admission to all men's and women's games for the week. Assigned seating is based on Bulldog Foundation priority points. For more information, visit GoBulldogs.com.